An overloaded vehicle poses safety risks to drivers, road users and transport operations generally. When a heavy vehicle is overloaded it is less stable, it requires a longer stopping distance, its tyres and brakes are prone to strain and it causes wear to roads and public infrastructure. Most significantly, overloaded vehicles are more likely to be involved in vehicle accidents than load compliant vehicles and such accidents are more likely to have a greater impact and be more severe. Notwithstanding the well-known risks associated with overloaded heavy vehicles, two cases have brought non-compliance with mass requirements to the fore. The first saw an increased fine imposed on Redpath Haulage Pty Ltd for exceeding its mass limit by 3.5 tonnes. The second case concerned a transport company that was fined $90,000 by Melbourne’s Magistrate Court in July for, among other things, overloading its heavy vehicle by 15 tonnes over its mass limit. These cases demonstrate that a rehashing of mass requirements is never too late nor can its importance be understated. This is particularly so where courts are taking a stern approach to penalising transport companies for failing to comply with mass limits and state transport authorities have indicated a willingness to ‘crack down’ on overloaded vehicles. The Heavy Vehicle National Law (HVNL) prohibits drivers, and persons permitting drivers to drive from driving heavy vehicles that, together with their loads do not, or whose components do not, comply with mass requirements. These mass requirements extend to other CoR parties who also have the capacity to control, eliminate or minimise such mass breaches and associated safety risks by reason of the principle of shared responsibility and the primary duty. 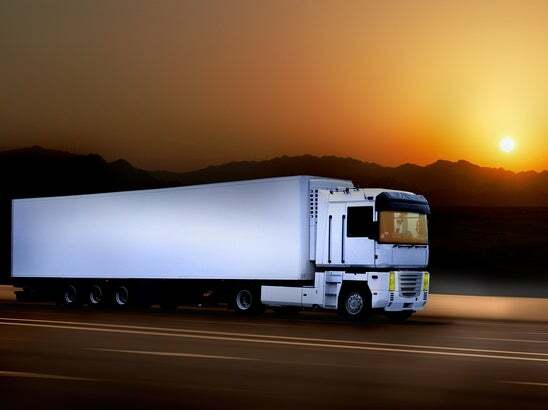 Specific mass limits applying to heavy vehicles according to their type, length and axels as well as applicable exemptions are set out in the Heavy Vehicle (Mass, Dimension and Loading) National Regulation 2013. If your breach also results in damage to infrastructure, you may also be ordered to pay a hefty compensation order. For example, if your mass results in a vehicle accident which damages a bridge or roadway, you may be ordered to pay for rectifying that damage. It is important to note that heavy vehicle mass includes tare mass, GVM and mass on tyres and axles. Compliance with mass requirements involves ensuring that every load complies with its GVM as well as its axle limits. What should you do if you detect that a heavy vehicle is overloaded? finally, if breaches of mass requirements are frequent, this indicates an error in your procedures and a more comprehensive compliance review should be undertaken. Aside from risks to public safety that result from overloading heavy vehicles, there are also compelling commercial reasons why businesses should comply with mass requirements. All too often we see the misfortunes of overloaded heavy vehicles, whether it be potatoes, chocolate or cheese, sprawled across our highways. To avoid not only risks to public safety but also your loads and reputation, ensure that you are properly complying with your heavy vehicle’s mass requirements.